The North East holds many treasured things close to its heart, ranging from something as mighty as its rich history to as minor as a freshly chilled bottle of Newcastle Brown Ale. Woven in between its charm-soaked cracks breathes the music that has been the voice of a generation for the past eight years, embracing the region with a sense of pride and belonging, and all from a bunch of zealous lads who derived their name from MSN Messenger. Little Comets, hailing from Washington and Jarrow, are a band whose undeniable passion for music has saw them ameliorate from crashing your best mate’s house soiree armed with a hefty amount of banjos and tambourines, to the beloved trio that have surpassed all of their expectations to cement themselves as stalwarts of kitchen sink indie. Taking their inspiration from growing up in the political furore of the Eighties and modern day social struggles has been a staple for the group from day one, from early ditties such as Violence Out Tonight, to last year’s The Blur, The Line and The Thickest of Onions, which was their response to the furore sparked by Robin Thicke’s controversial hit single. “I do get wound up when important issues get no interest in the media: domestic violence against women is at an average rate of one in four in their lifetime, which is an insane statistic, but why isn’t that being spoken about? A lot of issues nowadays are completely blatant, they’re in your face and you can’t ignore them. It’s like if you stand in a storm and you feel the power of nature and there’s nothing you can do about it; you can really feel the power of people, and the danger of what they can do”. Retaining their grip and passion without the help of a manager may seem like a challenging task, but Little Comets have never forgotten their love for what they’re doing and why. From scribbling out thousands of personal messages on CDs for their previous album Hope is Just a State of Mind, to penning daily emails to their legions of fans, their passion for music exudes out of every chord. Coles enthuses, “We’ve never made a decision for our music to benefit our careers. We’ve got little ones now and are confident enough to balance equally between music and family. We never want to cash in, and it’s never gotten more complicated than since when we were twelve; me and Micky [Michael Coles, guitar and backing vocals] sat in a room writing songs”. With a homecoming show at Newcastle University booked for Saturday 18th March and a full UK tour on the horizon (and with Rob and Micky both expecting new arrivals in the next two months), the pressure of creating the perfectly mixed set list, debuting new songs and balancing life on the road with their family lives is as rife as ever for the band. But Coles just takes it in his stride, chuckling, “there’s never been a defining moment, it’s all an interminable journey to not reaching the defining moment!”. 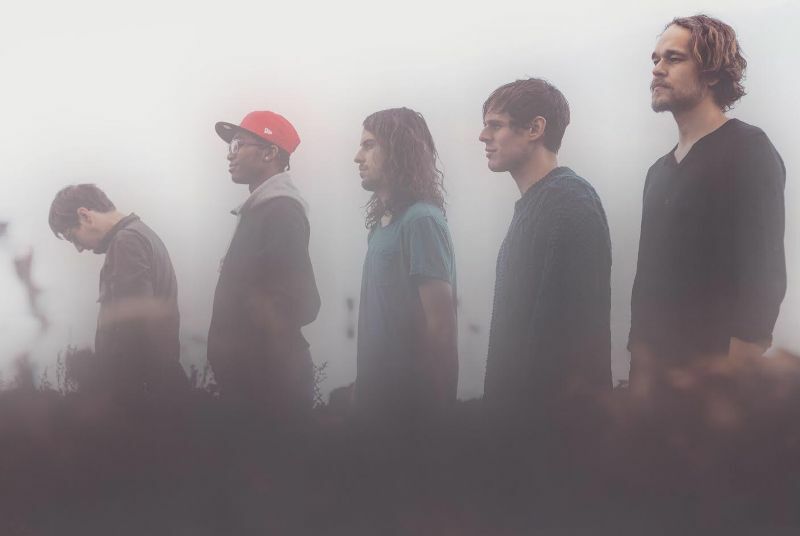 Little Comets release their new album on Friday 3rd February.